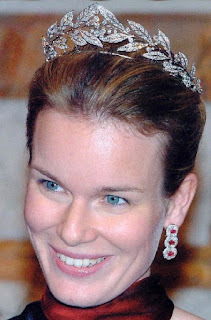 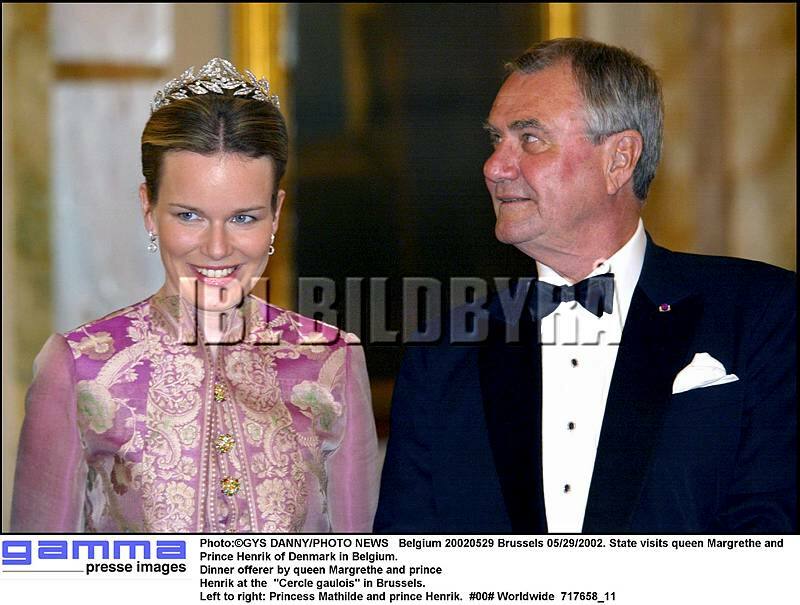 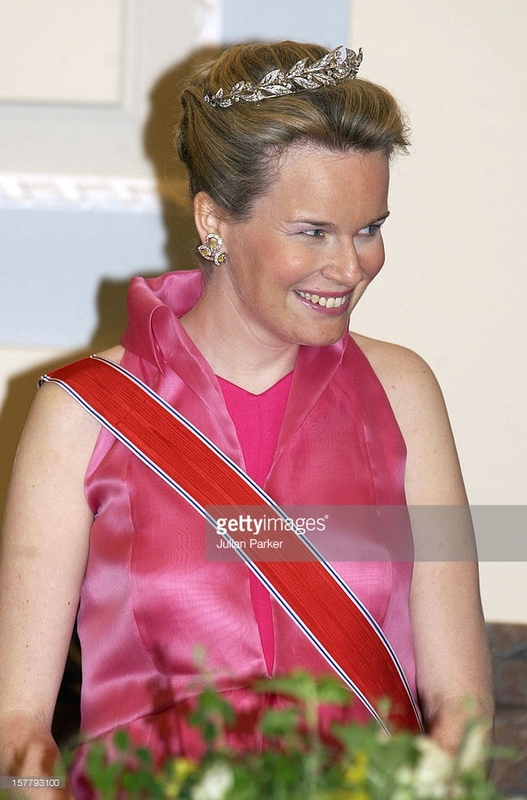 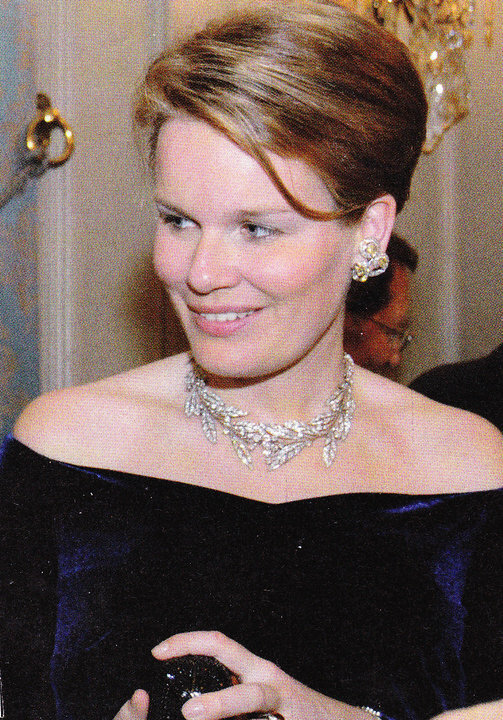 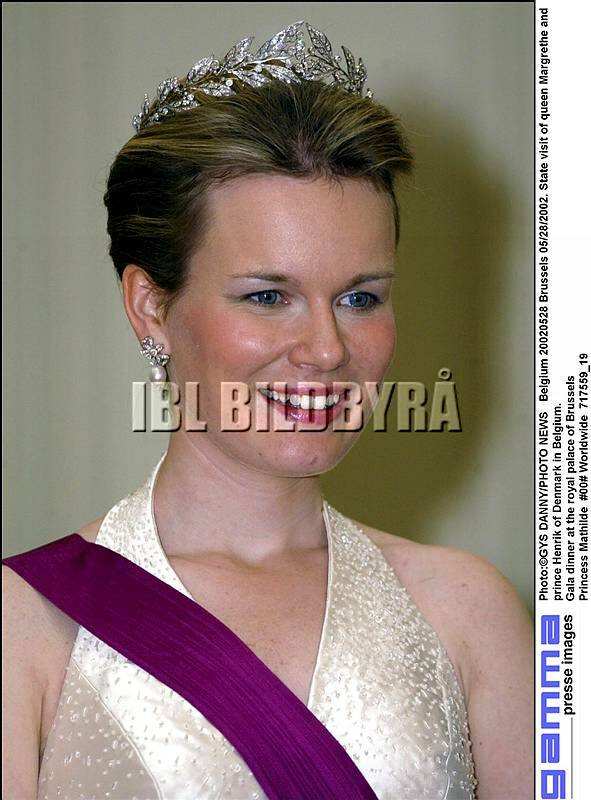 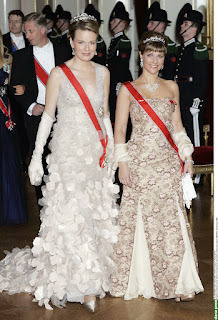 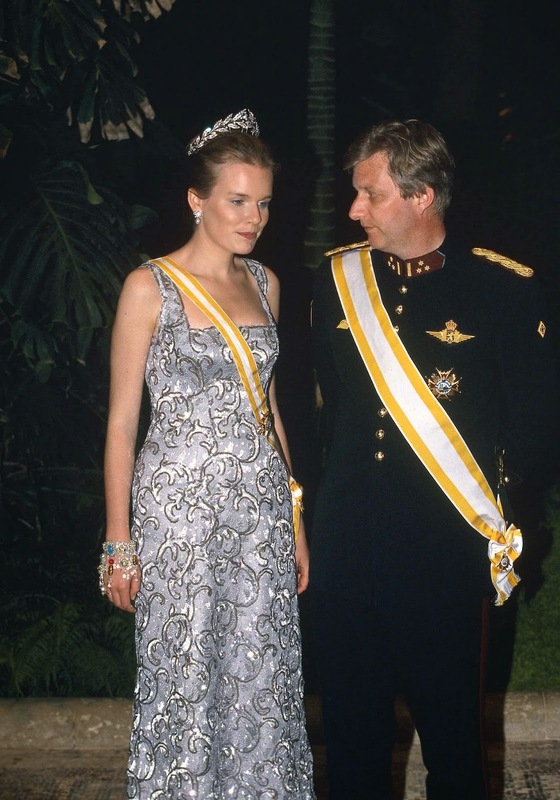 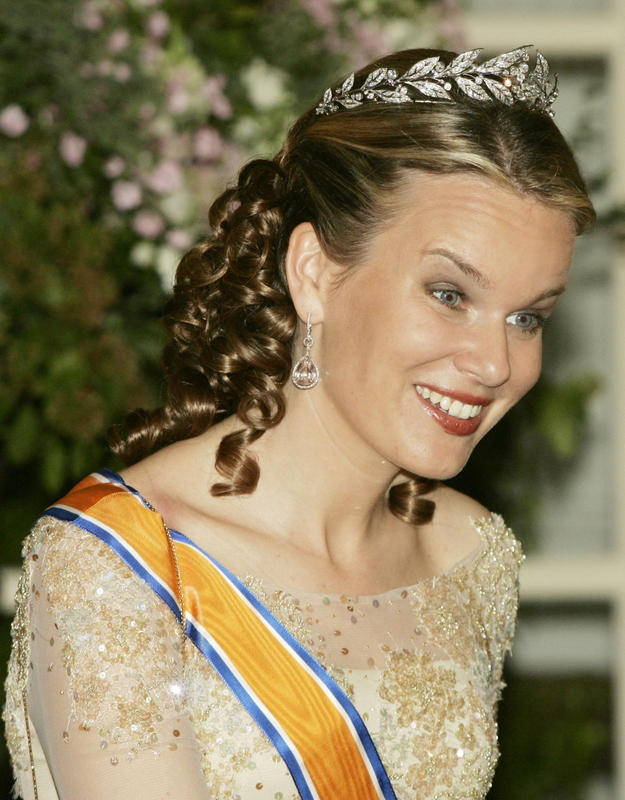 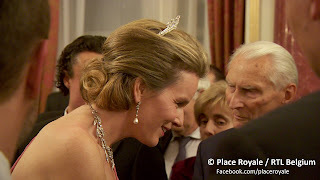 On the occasion of her wedding to crown prince Philippe of Belgium in 1999, the "Association de la Noblesse du Royaume de Belgique" presented Mathilde d'Udekem d'Acoz with a unique gift: a diamond tiara in the shape of a wreath of laurel leafs. 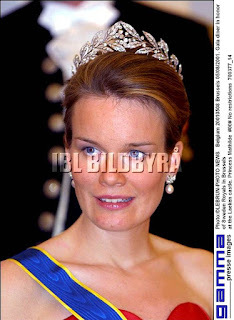 The tiara had been purchased in Britain. 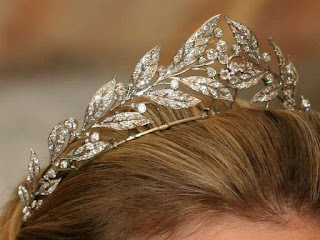 It contains 631 diamonds and 56 rose cut diamonds. The tiara was made in 1912, by London jewellers Hennell & Sons. 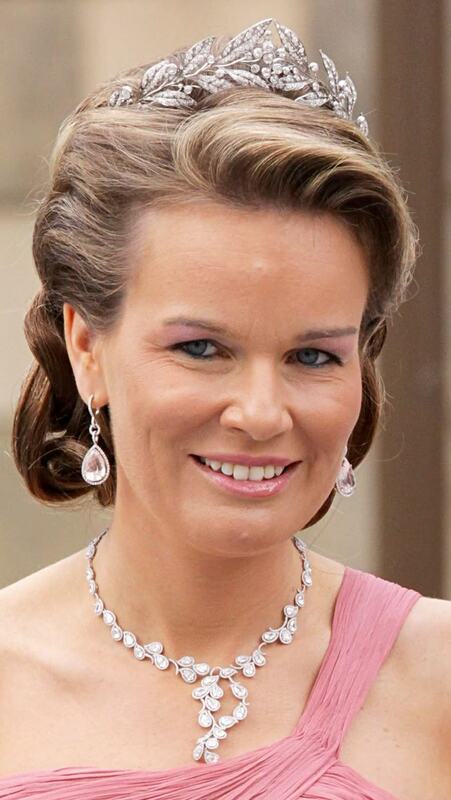 Its previous owner was Mrs Helen May White. The tiara can also be worn as a necklace.